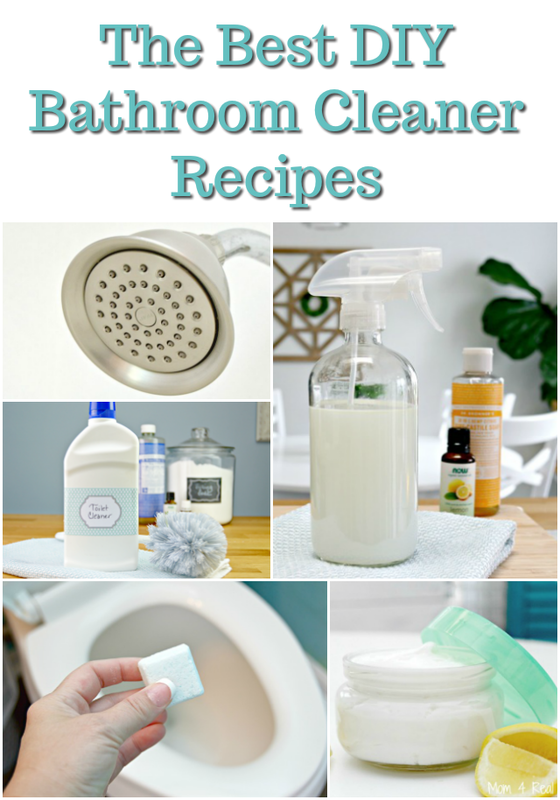 These are the Best DIY Bathroom Cleaner Recipes for those of you that want to start making your own homemade non-toxic cleaning solutions! Store bought bathroom cleaners are typically filled with all kinds of unknown, toxic ingredients. While they may seem to do the job, there really isn’t any reason for all of those ingredients. It’s really easy to make your own DIY bathroom cleaners with a few ingredients that you may already have in your kitchen pantry. 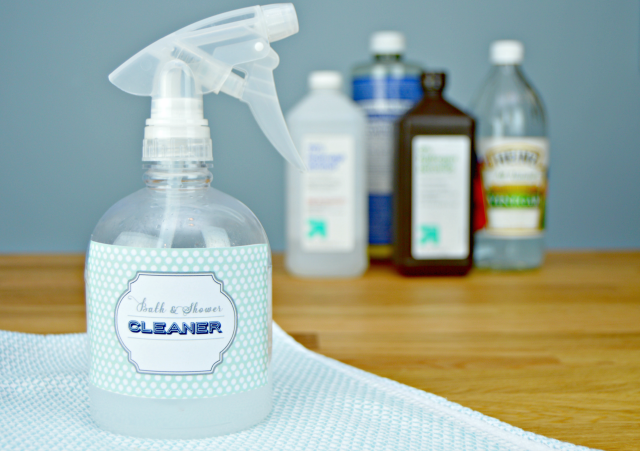 These cleaners have a minimal amount of ingredients, but clean just as well (if not better) than most store bought cleaning solutions. 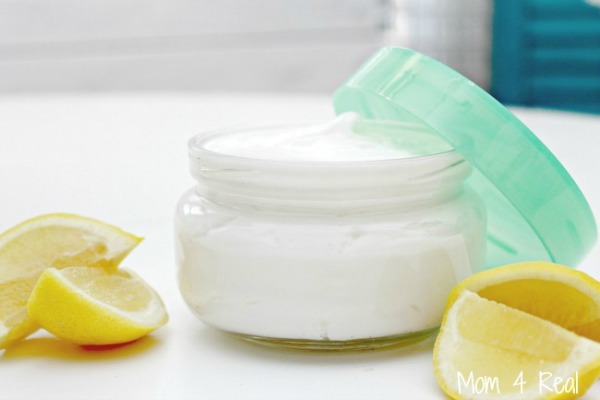 One of my favorite cleaners is my Homemade Soft Scrub Cleanser. This lemon-infused scrub is an amazing cleaner for bathtubs, sinks, toilets and shower stalls. It only contains 3 ingredients and a little bit of water, but packs an amazing punch! This Homemade Daily Shower Cleaner Spray will help keep your shower clean and mildew free. It helps to disinfect your shower and keep mold and mildew from forming since showers are such damp/moist areas. Toilet cleaners usually have a ton of chemicals in them, because let’s face it…toilets are nasty and need to be deep cleaned. The great thing is that you don’t really need all of those ingredients to make your own DIY Toilet Cleaner! 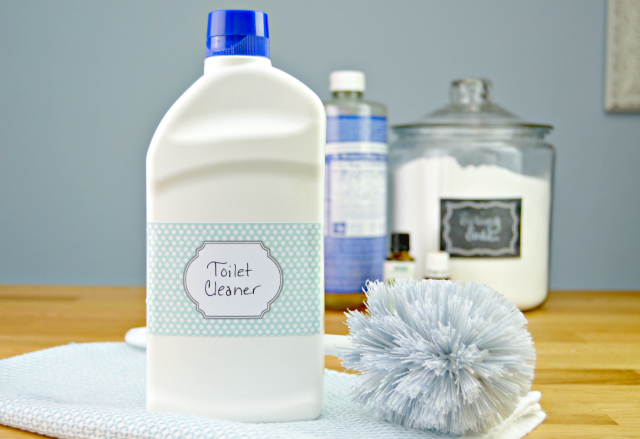 This cleaner works so well, and will leave your toilets sparkling clean! 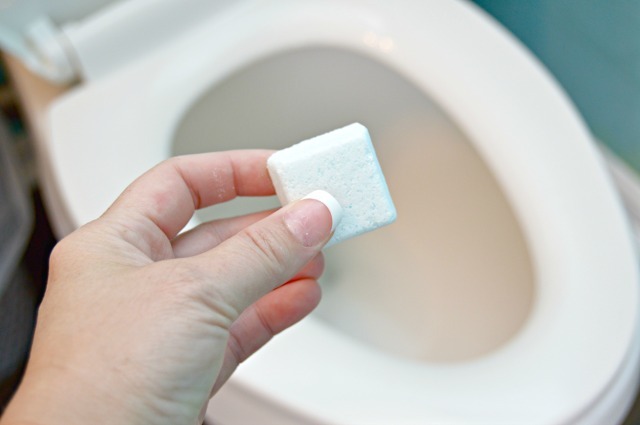 In between toilet cleanings, use these 3 Ingredient Toilet Cleaning Bombs to keep your toilet fresh and clean! These toilet cleaning tablets dissolve quickly and help to keep hard water stains and other stains at bay. 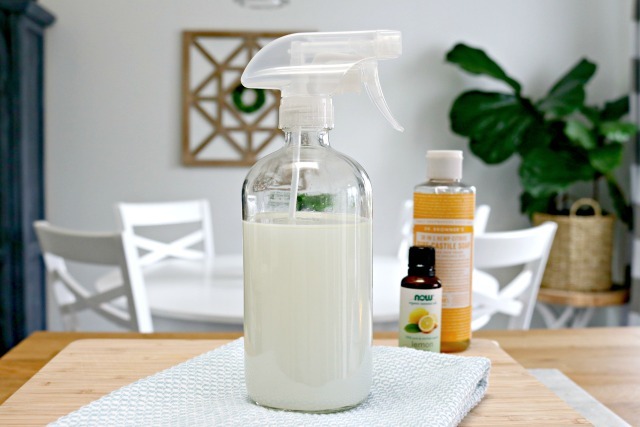 I love using this 3 Ingredient All-Purpose Cleaner Spray to wipe down counter tops, toilets and cabinets. It contains Castile soap and lemon essential oil, which helps to clean and disinfect your bathroom surfaces. If your shower head’s jets aren’t working properly and you have any kind of buildup on your shower head, then it’s time for a quick and easy deep cleaning! You only need one household ingredient to get this job done. 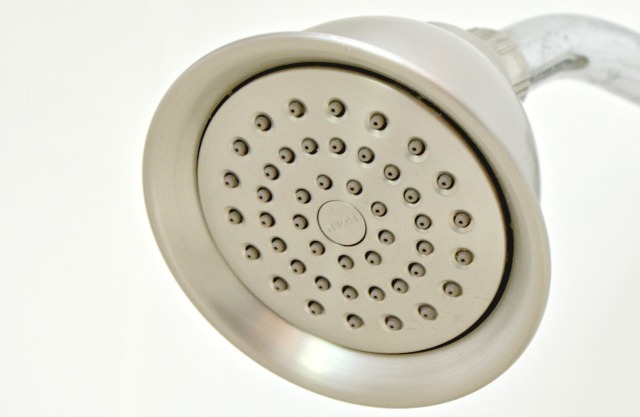 Find out How to Clean Your Shower Head HERE! 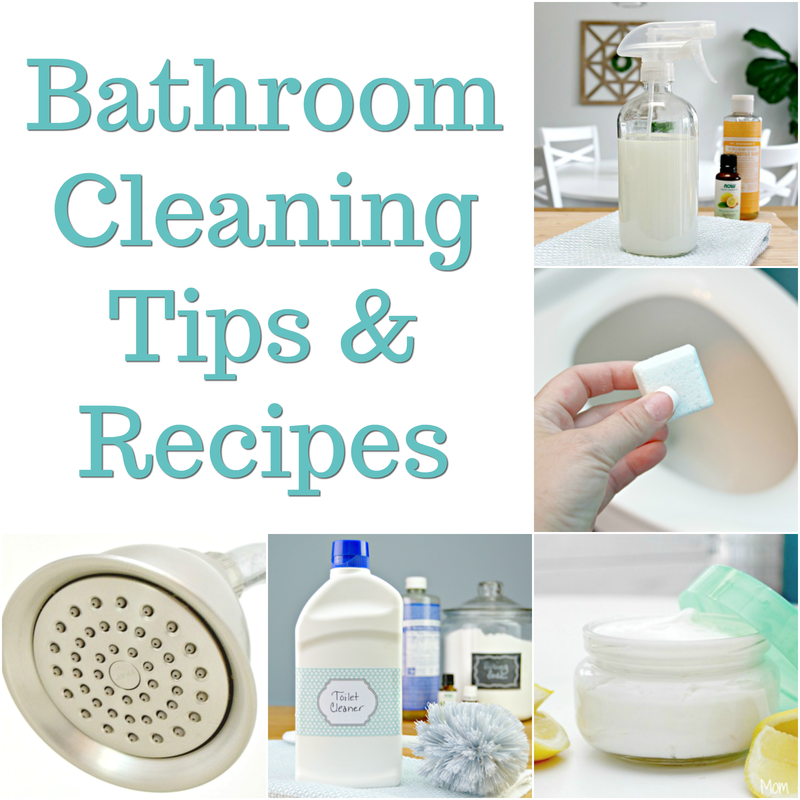 Find more Bathroom Cleaning Tips and Recipes HERE!